Stephen C. Payne, a Yale Law School graduate and partner in the global law firm Gibson, Dunn & Crutcher LLP, has been appointed by Catholic University President John Garvey as the next dean of the Columbus School of Law. He will assume his new duties starting July 1. Based in Washington, D.C., Payne is chair of Gibson Dunn’s Food and Drug Administration (FDA) and health care practice group. 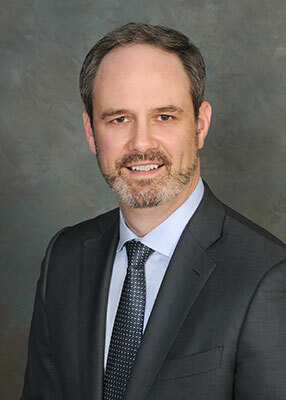 He has served with the firm since 2011, where his practice has focused on providing counsel to drug and medical device manufacturers and institutional health care providers regarding health care and FDA compliance, enforcement, and regulatory matters, as well as corporate transaction due diligence and litigation. He has represented clients in matters before the U.S. Department of Justice, the U.S. Department of Health and Human Services, the FDA, the U.S. Congress, federal district and circuit courts around the country including the U.S. Supreme Court, and many state governments. Payne also has significant experience assisting clients with regulatory issues that have arisen internationally, especially in Europe and Asia. In addition, he has taught FDA regulation and health law and policy as an adjunct professor with the Antonin Scalia Law School at George Mason University. He has provided pro bono legal services to veterans, clients seeking disability benefits, and the elderly, and has supported and collaborated with several nonprofits, including an organization providing medicines and health care education and services worldwide, particularly in Latin America and Africa. Payne earned his bachelor’s degree from the School of Industrial and Labor Relations at Cornell University, where he graduated first in his class. At Yale, he was a John M. Olin Fellow in Law and Economics and a Thomas Swann Barristers Union Prize finalist. Following his graduation from Yale in 1996, Payne was named the distinguished graduate of his class at the U.S. Army Judge Advocate General’s (JAG) School and then served as a captain in the Army JAG Corps at Fort Benning, Ga. His first assignment in that role was as a legal assistance attorney, helping service members and their families with a variety of legal challenges. He later was appointed as a Special Assistant U.S. Attorney for the Middle District of Georgia, responsible for investigating and prosecuting civilian felony crimes on the federal installation, and senior trial counsel of the Criminal Law Division, handling courts-martial. In these roles, Payne served as lead counsel in several successful civilian and military bench and jury trials. Upon leaving the Army in 2000, Payne joined the global law firm Sidley Austin LLP in Washington, D.C., and became a partner at that firm in 2004. Admitted to the bar in both the District of Columbia and State of New York, Payne has received the highest rating of “Leading” from the Practical Law Company in the category of Life Sciences: Government Enforcement and Investigations; has been named a “Life Sciences Star” by the legal guide LMG Life Sciences; and was ranked in 2019 as a “Litigation Star” in Washington, D.C., by Benchmark Litigation. He succeeds Regina Jefferson, who has served as interim dean of the Columbus School of Law since August 2018, following former dean Daniel Attridge’s decision to step down. “Providence is wondrous,” proclaimed Payne on learning of his appointment. “I have enjoyed teaching law students, but I never thought I would have the opportunity and honor to join this special community of faculty, staff, students, and alumni. At home, Payne is a member of the board of directors of Oakcrest School, an independent school for girls in grades 6-12, and participated in Oakcrest’s recent project to build and open a new campus for the 43-year-old school in Vienna, Va. He has also been active with youth baseball, having served on the boards of, and coached for, both his local travel baseball organization and Little League, for which he has been a two-time coach of the year. Payne lives with his wife, Jennifer, in Virginia, and they have two children. Their daughter, Mary, is a first-year undergraduate at Catholic University, while son Simon is in seventh grade.